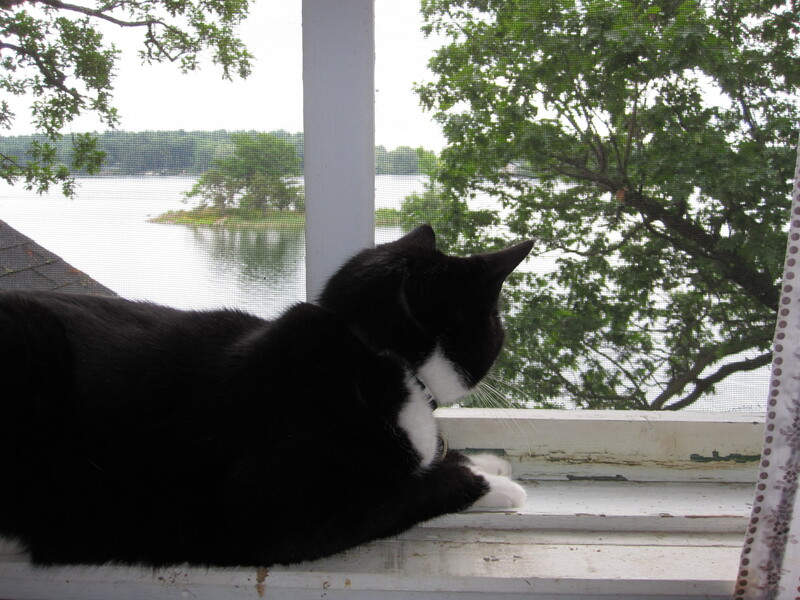 Starting off with a photo of Mr. Jethro Bell, no not the rockin’ band with a flautist Jethro Tull, although my cat warbles well enough to get a grammy himself, staring out of the window of our summerhouse in The Thousand Islands. What a cutie. Another staple of summerhouse livin’ is my mother’s recipe for Cinnamini Buns. They are so good. I mean like really really good. Like the best things ever. And not that hard to make if you’ve ever made bread before.